Hand in your Repeat Prescription Slip at Reception (ticking only the items you require). Complete a Medication Request Form at Reception. Use Emis on-line to request medication (ask for details at Reception). Your nominated pharmacy can re-order your medication if you give them permission and leave your repeat slip. Please note this method may take longer for your prescription request to reach us for processing. We have Clinical Prescribing Pharmacists available to discuss your medicines queries. Book an appointment via Reception. Please note that it takes 72 hours for prescriptions to be processed and a further 1-2 days to dispense at your local pharmacy. This process will be even longer if you have not signed up to the Electronic Prescribing System – please speak to your local pharmacy of choice to arrange this. REQUESTING EARLY – we try to prevent waste through stockpiling of medicines. If you need to order early, please give a reason with your request e.g. going on holiday. Failure to do so may lead to your medication request being refused. OVERDUE FOR YOUR CHECKUP – we have a duty to ensure that your medicines are prescribed safely and we will remind you to come for appropriate tests and checkups. If reminders are ignored, we may reduce your medication supply until you have had your blood test or appropriate checkup. KEEPING MEDICINES RECORDS UP TO DATE – please let us know if you have decided to stop any medication so we can update your records. It is important that you let your pharmacist or doctor know if you are having any problems with your medication. REQUESTING MEDICINES THAT YOU ONLY NEED OCCASIONALLY – please let us know the name of the medication requested and reason why it is requested. For example stating “eczema cream” is not very specific and this will lead to delay in medication being issued. When you request a medication urgently because you have run out, we will clinically assess if it is urgent for today. PLEASE FILL IN A FORM AT RECEPTION STATING THIS MEDICATION IS REQUIRED URGENTLY AND CALL BACK LATER TO SEE IF IT HAS BEEN DONE. Your usual pharmacist should also be able to issue you with an emergency supply but may charge for this. Please be aware that urgent requests create a lot of extra work so we hope this will not happen often. It remains your responsibility to ensure that you order your medication in advance – we suggest when you have 10-14 days supply left, think about re-ordering then. Wasted medicines = lost NHS money. Please only order as needed. Once medication has left pharmacy, it cannot be re-used (even if it is unopened). Any unused medication should go back to the pharmacist who will safely dispose of it. As of the 1st April 2018, the 4 practices (Heathville, London, Barnwood Medical Practices and Saintbridge Surgery) operate as one surgery known as the Aspen Medical Practice. On 4th June 2018 a new way of clinical working and providing patient appointments was implemented. Appointments for the Aspen Medical Practice (AMP) will be available at all 3 sites – the AMP, Aspen Centre; AMP, Saintbridge Surgery at Askwith Road; and AMP, Tuffley Surgery at Warwick Avenue. Routine Clinic appointment – these will be available, where possible, up to 4 weeks ahead at all 3 sites. You can request to see a specific doctor or nurse, where available. On The Day Clinic appointment – please call in the morning. These appointments are available mainly at the Aspen Centre, with a number also available at the other 2 sites for patients who really cannot travel to the Aspen Centre – please reserve these appointments for those patients who will struggle to get there. Please note that the Patient Navigators will only be able to give you appointments directly in the morning. Also note that it is one problem per appointment. All requests for same day appointments in the afternoon will be directed to the duty clinical team for telephone triage. Triage Telephone advice – the duty clinical team will call you back to discuss the problem. Many problems can be sorted over the telephone and do not require face-to-face appointments. If you are uncertain as to whether or not you require a face-to-face appointment, please ask for a Telephone Triage appointment. However if you and the clinician calling you back decide that you need to be seen, you will be given an appropriate appointment. Please ensure you give the correct contact number and if it is a mobile, please ensure this is switched on and that you are in an area with decent reception. Routine Telephone Consultation with a specific doctor – these are available but you may have to be prepared to wait up to several weeks for this. If you feel you need to speak to a specific doctor urgently, please be prepared to give some more details to the Care Navigator who will then have to make contact with that doctor (if available or the duty clinical team) and then will get back to you. Please note that any requests for either face-to-face appointments or telephone triage after 15:30 are for urgent problems only. When you ask for an afternoon telephone triage appointment, the triaging clinician may decide that the most appropriate appointment is a routine appointment (and book one for you) or you may be asked to call back the following morning. Receptionists are now referred to as Patient Navigators as they have received extra training to support them in guiding you to the most appropriate clinician. Please give them some basic information (you do not need to go into any major detail) as that will assist them in giving you the most appropriate appointment. Your information as always remains strictly confidential. This is the only line you can use for sick note renewals – where a doctor has already done a sick note for you previously and you just need it extending or require a fit note. It will help enormously if you are able to say up front whether you wish to have an appointment, receive telephone advice or require a home visit. Please do let the Patient Navigator know if you are uncertain. All home visit requests are triaged by the duty clinical team. If you have any problems with your prescriptions or if you are concerned about side-effects from medication, please choose this option. We have a Prescriptions Team headed by a Clinical Pharmacist who will be able to deal with any queries relating to medication problems. Please note that all prescription requests will take 72 hours to process – please refer to the separate Prescription Requests document titled MEDICINES MATTER. If you are calling regarding prescription queries, please note this line is only open until 15:30. If the clinician you have already seen has made a referral to the hospital and there are any problems with the appointment, please choose this option as this will take you directly to the secretarial team. There will be no point asking to speak to the doctor again as these are administrative issues. Please note that in order to access appointments or telephone consultations during the day, you will be required to give very brief information about the problem to the Patient Navigator. Please note that you are not required to give lots of details about the problems. All our Patient Navigators treat all information as strictly confidential. If you do not wish to give any information to the Patient Navigator, you will only have the option of a routine appointment or routine telephone consultation. 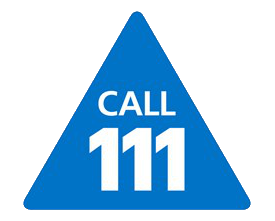 Please ensure you try to call before 11:30 if you know you require a home visit. Please note that requesting a home visit does not mean you will necessarily get one. All home visits are based on clinical need and should only be carried out for patients who are very unwell and are unable to get to any of the 3 sites. Lack of transport or no money for taxis is not a reason to request a home visit. Visits generally take 4 times as long as a clinic consultation – resources are scarce and we ask that all patients jointly take responsibility for using this resource. The Aspen Medical Practice are delighted to have the support of the following Health Professionals. Clinical Pharmacists – who will support the Medicines Management and deal with any concerns with regards to medication. Advanced Nurse Practitioners – who are experienced highly trained nurse practitioners. Advanced Physiotherapy Practitioner – who will be able to advise on musculoskeletal problems. Community Matron – who will support the frail, elderly patients in the community. Physician Associates – who have been specially trained to support doctors in seeing and treating patients. All 4 practices have worked hard to come together in order to create a more sustainable way to work to deliver medical services to you. There will inevitably be teething problems when 4 practices come together and adopt new ways of working – we would therefore be grateful for your patience. We welcome any feedback. Ask at reception for more information on improved access appointments.